Direct from San Francisco I flew to Austin with Jenny as we both needed to be there for The Running Event. TRE is a trade show focused on specialty running stores. A little stiff and sore from the 46 mile race and a morning flight, I was encouraged by the warm weather and word of the local natural springs. Jenny and Scott introduced me to a few of their Austin favorites which included the Barton Springs. A complete highlight for anytime and especially this one for my sore, raced legs. The show was much larger in terms of vendors on site this year and as a result the halls felt more quiet, perhaps because the store representatives and buyers that normally fill the smaller space were more spread out. Our UltrAspire, Patagonia Footwear and Black Diamond booths looked great all lined up together and entertained some great meetings. There was a more relaxed vibe compared to last year when we were first launched the UltrAspire brand, but still effective time for the brands. Touring around the hall it was fun to check out some of the other vendors' products and connect with friends from around the industry. Outside of the show we enjoyed the eats, sights and sounds. The restaurants in Austin are amazing and it seems hard to go wrong. Connecting with the Terranovas and the Rivers for dinner one night was a treat as well as cruising around near our hotel back to some favorites from last year. 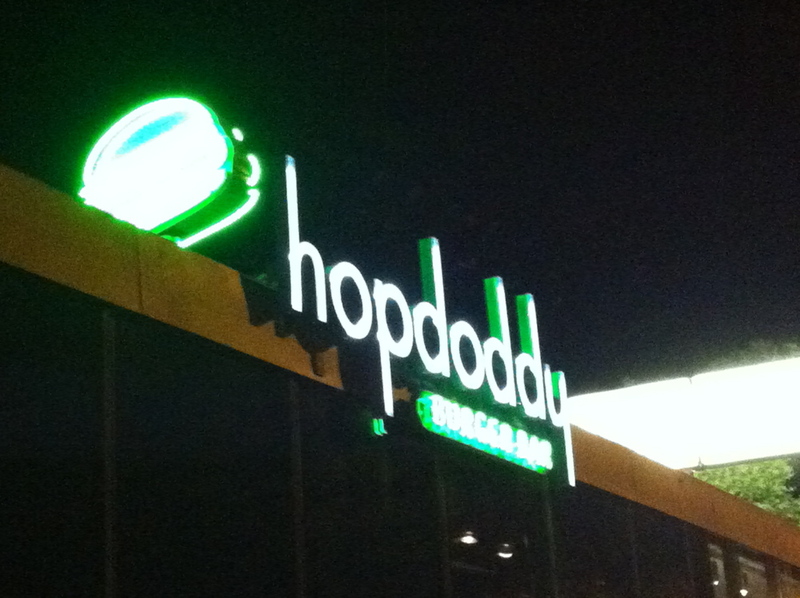 HopDoddy being my favorite followed by hot chocolate at Amy's. On our final night there we had the opportunity to experience a small taste of the Austin music scene. Austin City Limits was filming the Neon Trees and Sue had a connection that got us tickets into the Moody Theatre. Not quite my music taste, but fun to see a live show. I also got to see James McMurtry at The Continental Club, a definite Austin experience. Before I knew it I was back at the Austin airport. My only travel mistake of the year corrected I hopped on an afternoon flight to Denver, was scooped up by my sister and delivered to Boulder. We enjoyed a few hours of the evening before I had to unpack and repack. The next morning I was delivered back to the airport for a flight to Rochester, NY. Fortunately the flights went smoothly and I landed in good hands on the other end. A quick weekend event to speak at the MedVed Running and Walking Center, preceded by the morning Oven Door run and brunch at Sherry and Dave's made for a full Saturday morning and afternoon. I enjoyed the runners and running community that is strong and familiar. The trails available right from town are a lot of fun and with the leaves covering most of the trail it made for a beautiful morning run. Good time with good friends made for a relaxing evening of learning recipes, watching movies and some much needed down time before the Sunday morning run and my flight home. 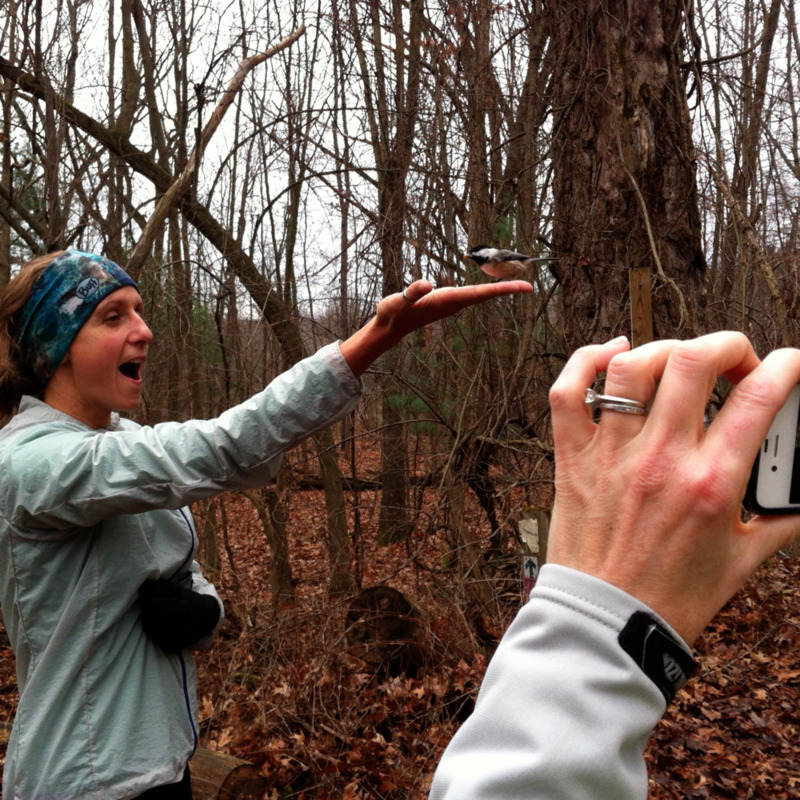 Perhaps the personal highlight of the weekend was the opportunity to feed the chickadees during the middle of our Sunday run. After nearly two weeks at home (a record amount of time in the last couple of months) I am now in Salt Lake to celebrate the holidays with friends and family. More time at home is on the horizon and something I look forward to filling with grounding, regrouping, settling and maybe a bit of planning for what 2013 will hold.